Matthew Sabatella brings to life music that is woven into the fabric of the United States. 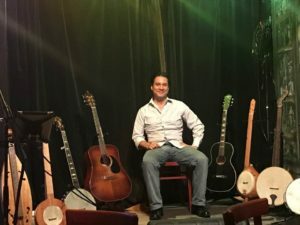 As a singer, instrumentalist, recording artist, performer, speaker, writer, and content curator, he illuminates the connection between music and the story and people of the United States. His projects to this end include The Rambling String Band, the Ballad of America albums and website, and the American Heritage Music blog. Since that epiphany, Sabatella has been singular in his mission to share this rich musical heritage with others, both for the sheer love of the music and for its value in inspiring people to better understand each other and America’s past, present, and future. He added mountain dulcimer and a variety of banjos to his arsenal of instruments, studying old-time playing techniques with the masters. He also resumed formal schooling and earned a Master of Arts in History from Florida International University to complement his Bachelor of Arts in Music from the University of Miami. He is currently a member of the Society for American Music and the Folk Alliance International. 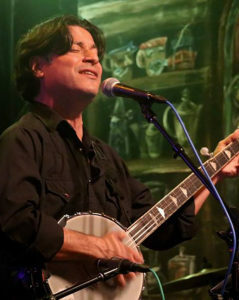 With The Rambling String Band, Sabatella has released three albums in the Ballad of America series, each with a different historical theme. Sabatella sees the possibilities for future recordings and releases as nearly endless. 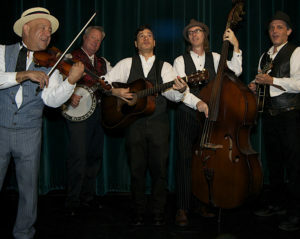 The Rambling String Band performs live shows for audiences ranging from elementary students to young adults and seniors. Sabatella looks forward to a long career dedicated to carrying on the traditions of the music that he loves – American heritage music. For more information and the latest updates about Matthew Sabatella’s career and projects, visit MatthewSabatella.com and sign up for his monthly newsletter.